There is a great deal of concern within media houses on the revenue impact of E-procurement on an already ailing media sector. E-procurement involves the government placing advertisements on a website, instead of in the media with the apparent aim to save costs. This is also part of the latest round of austerity measures of the government where circulars have already been sent to agencies to cut costs. All three major austerity measures before this in the last 10 years focused, in part, on reducing government advertisements leading to a major and growing sustainability crisis in the media since 2010. This is even though advertisement is one of the smallest budget heads of the government. Given that government advertisements make up the majority of revenue for media outlets, there is a real concern among media houses that this latest round could lead to the folding up of many private media houses and eventually also impact state owned media like Kuensel. Even BBS, which gets state funding, gets a part of its budget from government advertisements. Already, e-procurement in its early stages is leading to marketing officers of various media houses reporting lesser government advertisements as many agencies, both in Thimphu and the Dzongkhags- switch to e-procurement. The doomsday prediction by media managers and journalists is that e-procurement could have the unintended impact of wiping out most if not all the ailing private media, and also weaken state owned media. 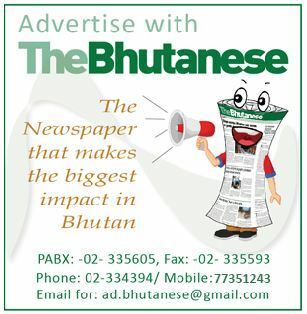 The OL said that Bhutan cannot afford to have a weak media. Panbang MP Dorji Wangdi said that e-procurement has a lot of merits, and the media will have to face its effects and so it will need to change its strategy. 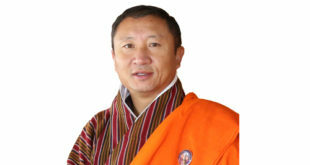 The Finance Minister Lyonpo Namgay Tshering said that e-procurement will smoothen the procurement process and it will not hamper the media as it is supplementary to the notifications in the media. He said that e-procurement online will allow even international bidders to bid for international bids. The minister said that e-procurement will also result in time savings on procurement as things will be done online. He said that to help the media the government can take a supplementary approach. The minister promised to engage in close consultations with the media on the issue. He said a system needs to come up but it will not be possible to give advertisements to all eight or nine papers. The final word on the issue was with the Prime Minister who during the Friday meet in response to a question on the same issue, said that government advertisement is not the only way to support the media. He said that there are ‘110 different ways’ to financially support the media. 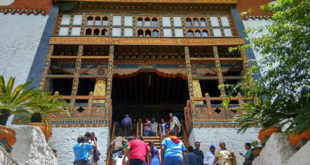 Lyonchhen said that the government is already giving block grants to gewogs and the same can be explored for the media. He said that e-procurement cannot be blocked to just help the media and so there are many other ways to financially help the media. 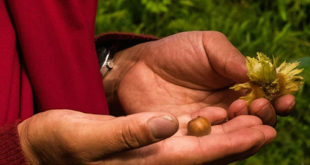 The Media Association of Bhutan (MAB) representing media houses approached the new government in late November 2018 with a concrete set of proposals to help in media sustainability. One of the issues raised then was on the falling government advertisements and the impact of e-procurement. One of the key pledges of DNT is to strengthen the Bhutanese news media and extend necessary support to media organisations.